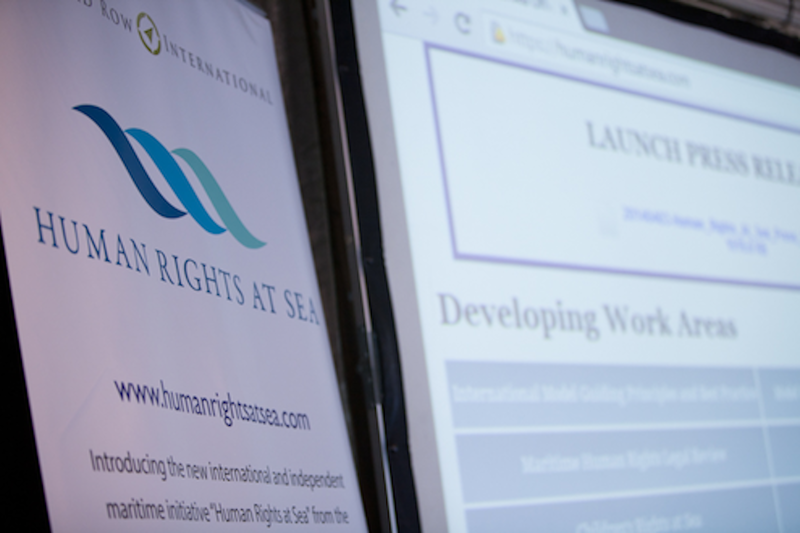 An important new initiative, Human Rights at Sea, was launched this past April. In the words of its founder, David Hammond, “Human rights apply at sea, as equally as they do on land“. The HRAS initiative aims to raise awareness of human rights issues relevant to the maritime industry, and to ensure implementation and accountability for human rights protections. The initiative is of particular interest to those working on business and human rights as one of HRAS’s projects is to encourage the uptake of the UN Guiding Principles on Business and Human Rights in the maritime industry, as well as to develop a model maritime human rights impact assessment. In a recent blog posting, re-posted below, HRAS announced that it contributed to the German government’s efforts to develop a “Charter of the Future – One World – Our Responsibility”. The Charter when completed will reflect multi-stakeholder input and feed into Germany’s efforts to contribute to the further development of the UN Millennium Development Goals. HRAS in its contribution stressed the importance of good governance as furthered by the development and promotion of human rights policies applicable in the maritime environment. The HRAS international initiative is strongly represented in Germany. Its engagement with and by the German Federal Government has been a leading example of direct European engagement on the international issue of promoting human rights at sea, associated good governance and best practice for human rights in the maritime environment. The crucial importance of the protection of human rights at sea for the effective promotion of good governance has been highlighted and discussed in a recent HRAS article which was recently published on the German Federal Government’s initiative of the “Charter of the Future – One World – Our Responsibility” lead by the German Federal Ministry for Economic Cooperation and Development (BMZ). HRAS joined the initiative on 29 July 2014 by initially participating in two online forums for the development goals; namely Forum 1 on ‘Human Rights’ and Forum 2 on ‘Business, Human Rights and Sustainability’. The article, written by the Head of HRAS in Germany, Jens Dieckmann, and HRAS supporter Christina Kerll both Attorneys at Law in Germany, presented the vision of HRAS on good governance in the maritime environment. This further contributed to Forum 4, which serves to identify challenges in the area of good governance for the post-2015 development agenda led by the German Federal Government. Taking into account the long-term challenges in international waters, such as the fight against piracy and the protection of boat people, migrants and refugees, HRAS calls for directing future attention to the development and human rights policies, particularly in respect of their use in international waters. HRAS Founder, David Hammond said: “I am absolutely delighted with the response from the Federal German Government to HRAS and which has only been in existence since 3 April 2014. The positive Federal engagement and support shown to date has been a result of an international platform that fulfils the need for overt discussion and representation of human rights in the maritime environment and also, due to the continuous hard work of the HRAS German team led by Jens Dieckmann“. 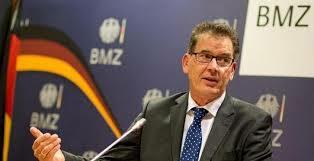 The German “Charter of the Future” has been initiated by the German Federal Minister for Economic Cooperation and Development, Dr. Gerd Müller, and it will be drafted up until November 2014. The Minister is currently engaged in a debate with the public about universally binding development goals. This process involves numerous events at the Federal level, the level of Federal states (Länder) and the municipal level. The drafting process started in April 2014 and will end on 24 November 2014, when Federal Chancellor Merkel and Development Minister Müller will jointly present the Charter to the German public. In addition to the large number of national thematic fora and discussion rounds, all citizens have an opportunity to voice their views online on the German website . The Ministry is developing the Charter together with the civil society, academia, churches and the private sector. Germany intends the Charter to be a special contribution to the further development of the United Nations Millennium Development Goals, referred to as the post-2015 process.